When cherry blossom season comes around, Japanese greet the arrival of spring with the theme of cherry petals and leaves even in the form of Japanese sweets, or wagashi. Known for their beautiful shapes, soft colors evoking nature in the four seasons, and a delicate sweetness unlike that of chocolate or cream, wagashi are becoming increasingly popular outside of Japan, fueled by the boom in Japanese tea, and their refined, classically Japanese image. But there's more to wagashi than their beautiful appearance and subtle flavors. 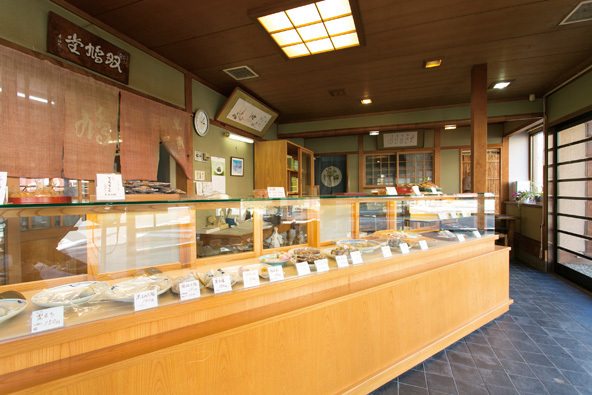 Few people are aware that the cultural and historical background of wagashi is just as deep and detailed as washoku (traditional Japanese cuisine), which was itself recently listed by UNESCO as an example of intangible cultural heritage. So, before we cry "Kawaii!" ("How lovely!") and reach for our chopsticks, let's first pause to learn about the history and philosophy of wagashi, and take a closer look at the secrets behind their delicate and alluring flavors. Wagashi are more than just a snack to ease the hunger pangs between meals. Akin to the English tradition of afternoon tea, the Japanese tea ceremony evolved to include etiquette relating to wagashi, and this etiquette took root in aristocratic society as an essential part of one’s social and cultural competence. Also featuring widely in the lives of ordinary people as something that evokes the changing of the seasons in daily life, wagashi is a culture rich with quintessentially Japanese history and philosophy. Ancient chronicles such as the Kojiki and the Nihon Shoki recount the story of the mythical figure Tajima-mori who, under orders from the Emperor, journeys to the Eternal Land, and returns with the fruit of the tachibana orange tree as an offering to his sovereign. This fruit is said to be the origin of the history of wagashi. 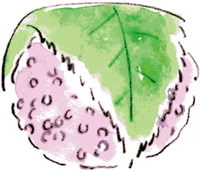 The fact that fruit is sometimes referred to as "water sweets" in Japan even today is a legacy of this legend. With the spread of rice cultivation around the third century, the mochi (pounded rice cake) was born as a rice product. In the seventh century, karakuda-mono (Chinese sweets) were introduced to Japan from China. These karakuda-mono were deep-fried rice flour or wheat flour pastries sweetened with amazurasen, a natural sweetener made from ivy. Later, in the 12th century, Buddhist monks journeying to China brought tea and tea drinking customs back to Japan, along with Zen Buddhism. These customs took root in Japan, leading to the development of the tea culture and, together with this, the culture of wagashi. Incidentally, the yōkan (a jelly-like sweet) and manju (steamed buns) first introduced to Japan from China originally contained the meat and livers of fish, lambs, and other animals. As Zen Buddhist monks in Japan were forbidden to eat meat, beans and grains were used in its place. This is believed to be the origin of anko (sweet bean paste). In the 16th century, traders and Christian missionaries from Portugal and other countries introduced sweets such as castella (sponge cake) and confeito (sugar candy). At the time, sugar was yet to be cultivated in Japan, and it was only when domestic production of sugar started from the 17th century onwards that the development of wagashi began to truly spread nationwide. When the capital of Japan was relocated from Kyoto to Edo with the Meiji Restoration, many sweet-making artisans from Kyoto also made the move to Edo. Wagashi culture flourished, made up of the elegant and delicate Kyoto-style sweets that evolved in aristocratic society, along with the Edo-style sweets popular with the masses, such as dorayaki (anko-stuffed pancake), daifuku (anko-stuffed mochi), kintsuba (sweet beans wrapped in wheat-flour dough), and dango (sweet rice dumplings). The role of wagashi and the messages they convey vary depending on who eats them, as well as where and when they are consumed. For example, each region of Japan has its own local version of popular snacks such as manju and rice crackers. These unique sweets are always appreciated as a travel souvenir brought back for family, friends, and co-workers. Wagashi are also often sent, usually in highly decorative boxes, as a seasonal greeting or a thoughtful gift. On ceremonial occasions such as weddings, births and funerals, it is customary to send wagashi as presents, their boxes decorated with noshi (a paper decoration) and a hand-written label bearing the recipient’s name. What’s more, sweets served to visitors to one's home are quite different to the sweets that one would usually eat oneself. It’s soon apparent to the visitor that there is a huge range of wagashi to be enjoyed, carefully matched to time, place and occasion. 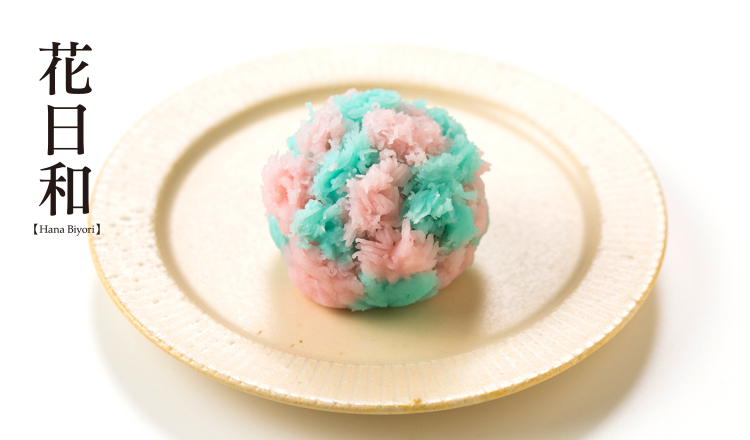 There is a philosophy also behind the way wagashi are enjoyed. 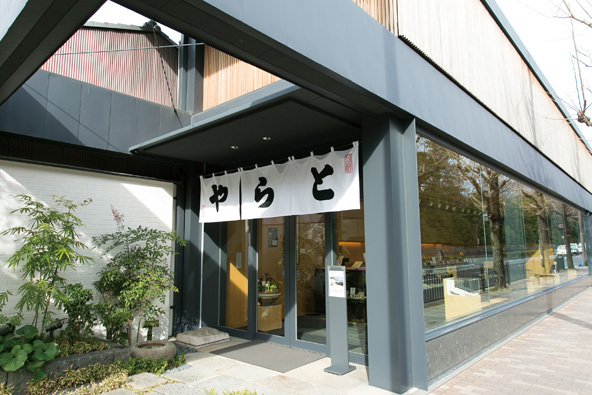 Mitsuasa Kurokawa, who was the 16th generation owner of the prestigious Kyoto wagashi shop Toraya, appreciates wagashi as "works of art for the five senses". Aside from their obvious deliciousness, wagashi are visually beautiful, have a pleasing texture when chewed or cut with a bamboo toothpick, are made of fragrant ingredients, and have evocative names that bring a sense of aural delight. Truly brilliant wagashi, according to Kurokawa, satisfy all five senses in this way. 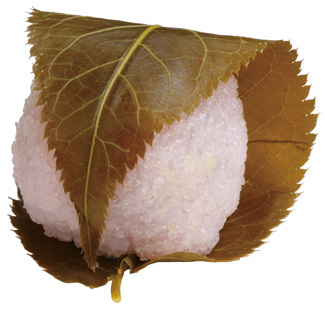 Dōmyōji flour is made by grinding pre-soaked and steamed mochi rice, and a mochi made from this flour is wrapped in the leaf of a cherry tree. 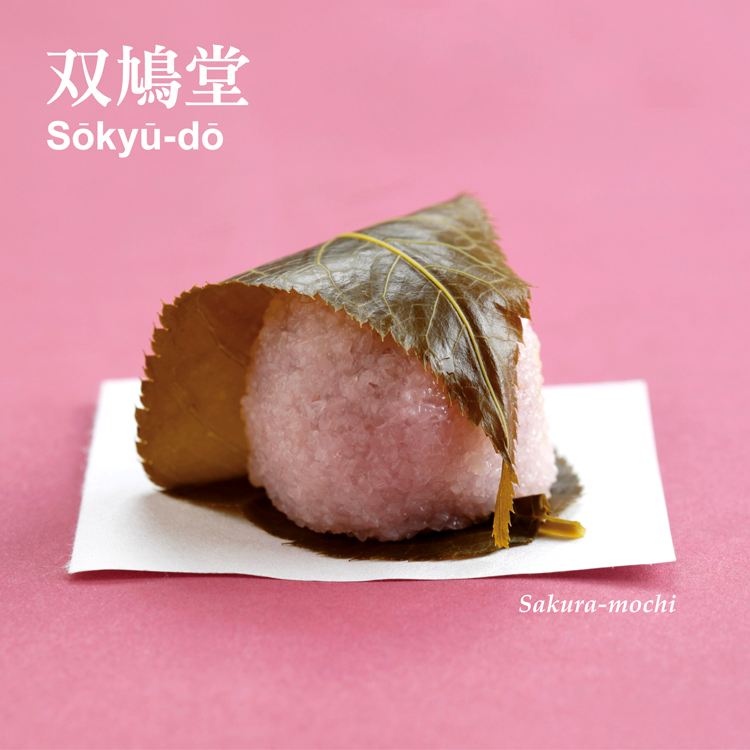 This kind of sakura-mochi is also known as a Kyoto sakura-mochi, and is different from the sakura-mochi sold in Tokyo and the greater Kanto area. 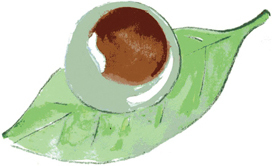 A bean paste center is wrapped in a clear coating and steamed. The coating is made from a starch from the root of the kuzu plant. 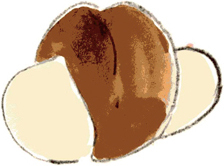 Their cooling appearance make kuzu-manju a popular chilled sweet in summer. Tsukimi (moon-viewing) is a Japanese custom traditionally taking place on the 15th day of the eighth month of the old lunar calendar (falling on September 4th in 2014). This day is called the "mid-Autumn moon" or the "fifteenth night". In Kyoto and the rest of the Kansai area there is a tradition of giving long mochi wrapped in anko as an offering during moon-viewing sittings. The present-day custom of buying and eating dumplings on this day is a remnant of this tradition. An auspicious sweet eaten to celebrate the New Year, hanabira-mochi is made from a paste of gobo (burdock root) and white miso wrapped in a mochi. Hanabira-mochi has a distinguished origin, originally being used in the imperial court in a "teeth hardening" ceremony to pray for longevity. Famous for a duel involving the legendary samurai Miyamoto Musashi, the town of Ichijōji has long been known as Kyoto's gateway to the Hieizan Enryaku-ji temple, and so prospered as stopping-off point for travelers. 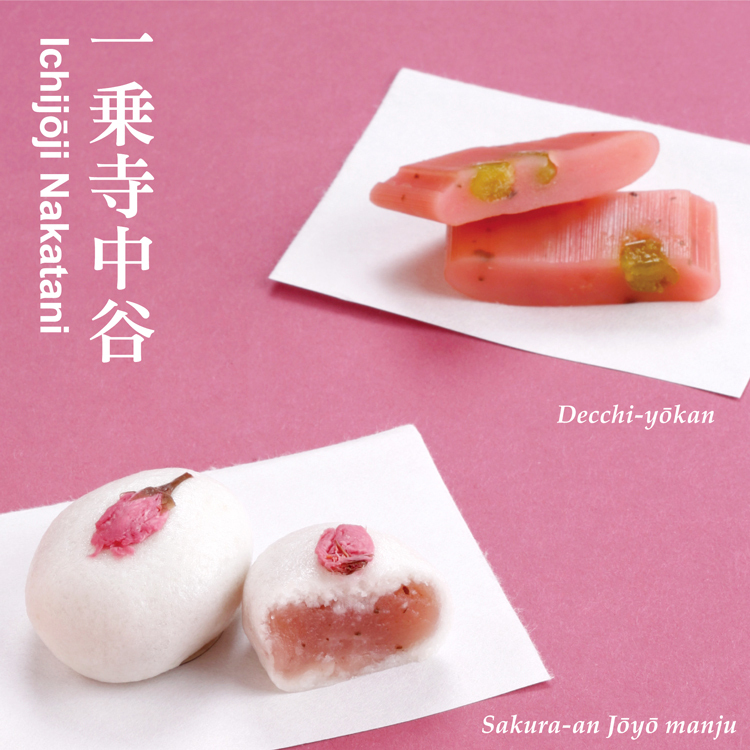 Ichijōji Nakatani is a wagashi makers established in 1935. Third generation master Hideaki Nakabayashi and his wife, a former pastry chef, are together pushing the boundaries of wagashi, treating the traditional sweet as a new kind of dessert experience. 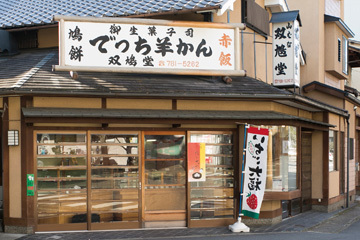 This famous neighborhood shop is also a favorite of foreign students. The tradition that began in 1880 with hato senbei (pigeon-shaped crackers) continues today under the direction of the fourth generation master Seiji Kitagawa. 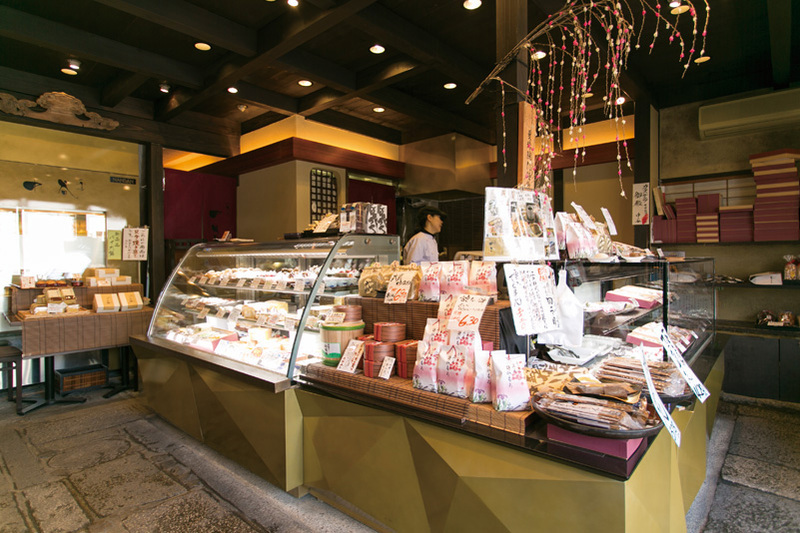 Customers enjoy old favorites such as dango, manju and yōkan, as well as warabi mochi and other seasonal wagashi. Located near Miyake-hachiman Shrine and Shūgakuin Imperial Villa, Sōkyū-dō is popular with tourists, but is also a particular favorite of locals, including international students from nearby Kyoto University. 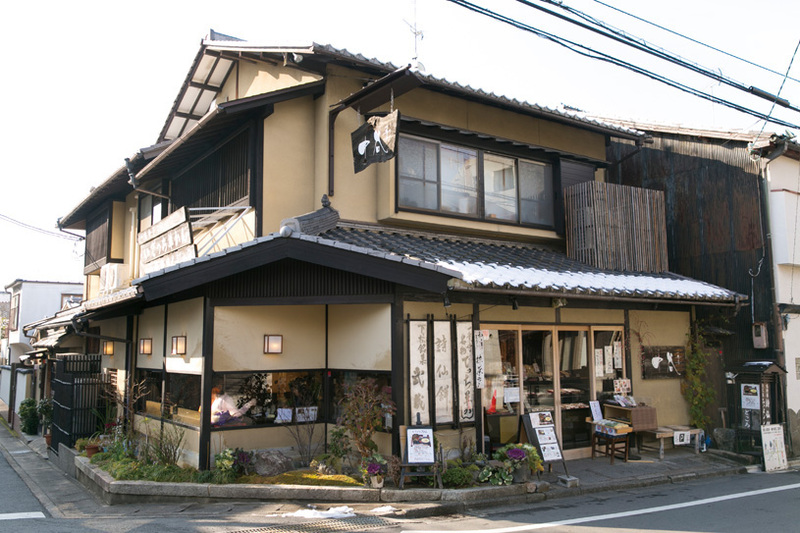 Established in Kyoto in the early 16th century, this venerable Japanese sweet makers has offered wagashi to the imperial court for over 480 years. 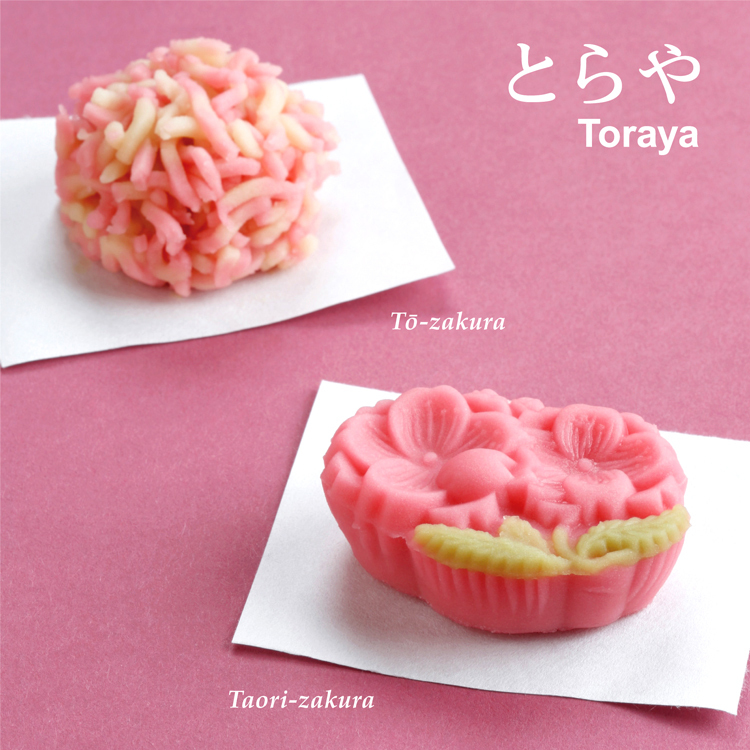 Although best known for its yōkan (a thick jelly made from bean paste, agar, and sugar), Toraya produces a range of wagashi, including seasonal sweets and monaka (a wafer cake filled with anko). 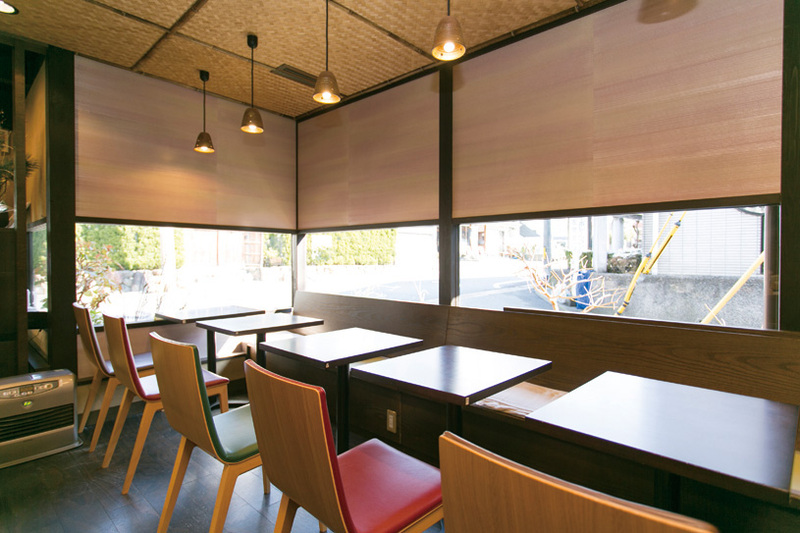 Adjoining the shop is a tea room, Toraya Karyō, where customers can sample the store’s delights at their leisure. The crumbly anko (a paste made from yam) colored the vivid pink of sakura and blue for the sky represents a clear, sunny spring day- the perfect weather for cherry blossom viewing in Kyoto. The anko filling is blended with chocolate, making this a tasty sweet even for those unfamiliar with the subtleties of wagashi. The delicate sweetness of the anko is the instant the sweet reaches your mouth, followed by the more intense sweetness of the chocolate-flavored filling. 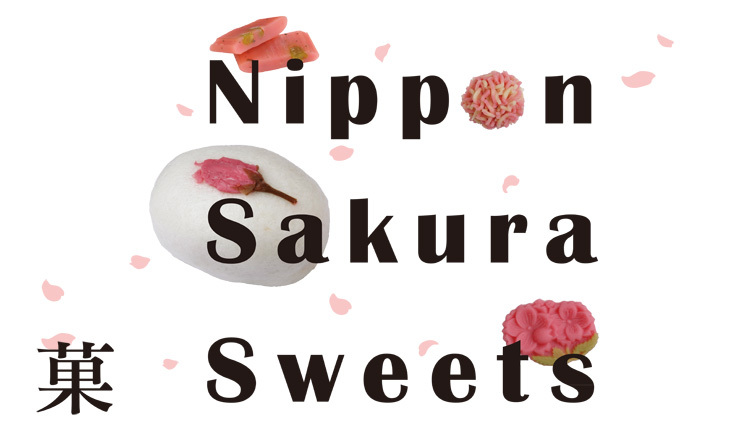 ※Please note: Japanese sweets are made from mostly raw ingredients, and should be eaten on the day of purchase. The editors of Enjoy Kyoto would like to invite you to try a wagashi created especially for this paper’s readers. The sweet, named Sakura Sky, is evocative of cherry blossom petals drifting on a spring breeze, and was crafted with the tastes of foreign visitors in mind. This exclusive wagashi was crafted by Hiroko Aoyama, a female wagashi artisan with ten years experience at respected Kyoto wagashi makers Oimatsu. Don’t miss this chance to try a unique taste of Kyoto to make your springtime in the city even more special. 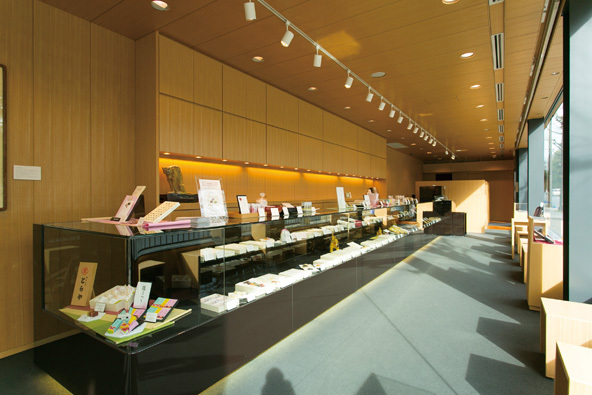 Seiyo Wagashi creates made-to-order sweets for occasions such as birthdays or as gifts for wedding guests, and also conducts classes in Wagashi making. 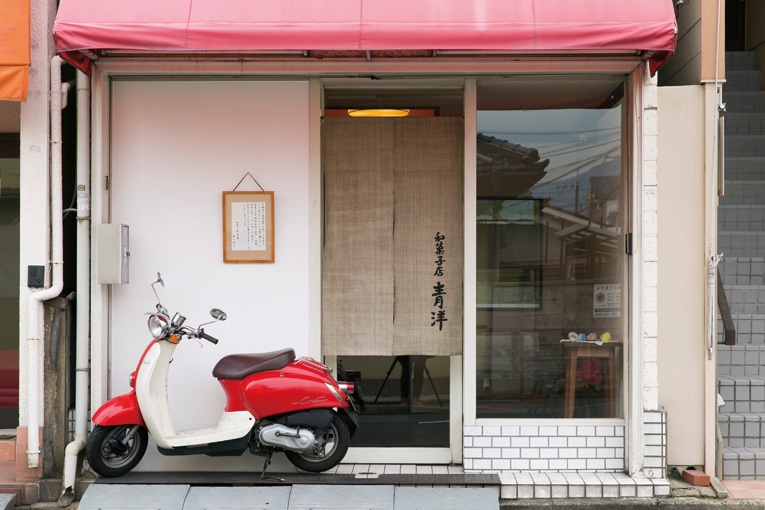 Seiyo opens its doors as a shop for only three days each month to sell its creative Wagashi specialties of the season.nIn cherry blossom season, sweets are also in bloom. 【Access】Take a subway and get off at Kitaoji station. Change to Kyoto City bus to Murasakino-izumido bus stop walk five-minutes.